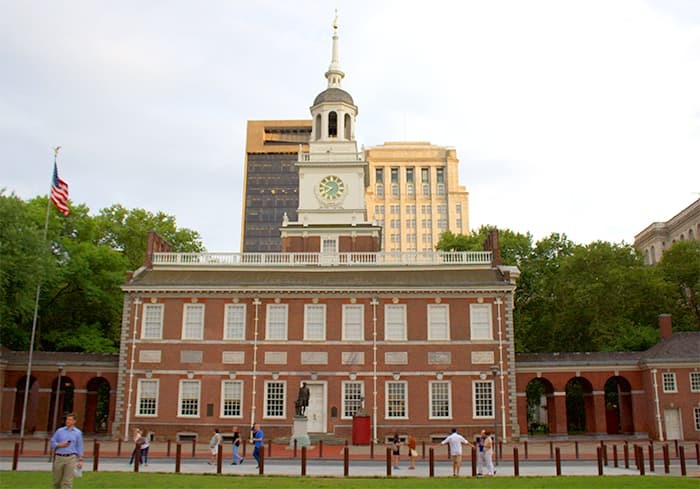 The great thing about living in Philadelphia is that you’re only a few hours away from some pretty cool places. When we lived in Florida, it would take us 7 hours just to get out of the state. Now, we can drive to another country. 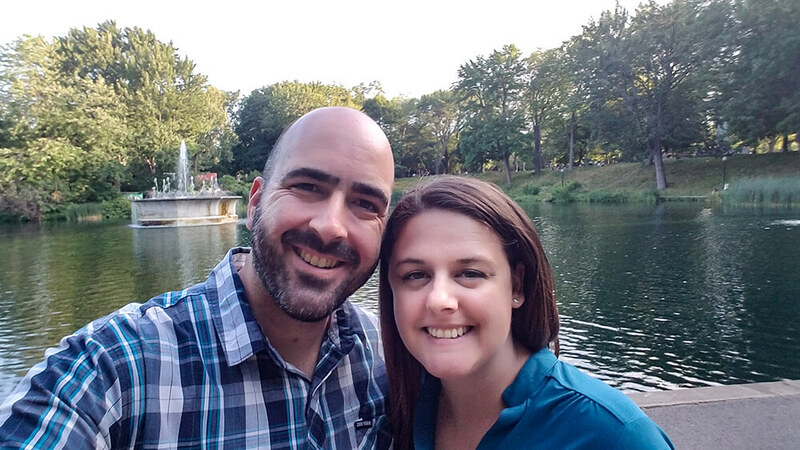 We went to Montreal in the summer for our 3 year wedding anniversary. We were able to cash in our credit card points for a really great apartment close to Parc La Fontaine. The drive took us about 7.5 hours and was actually really beautiful. Driving through upstate New York is really nice. Montreal is a great place to spend a long weekend in the summer. They really embrace the summer months and love spending time outside. 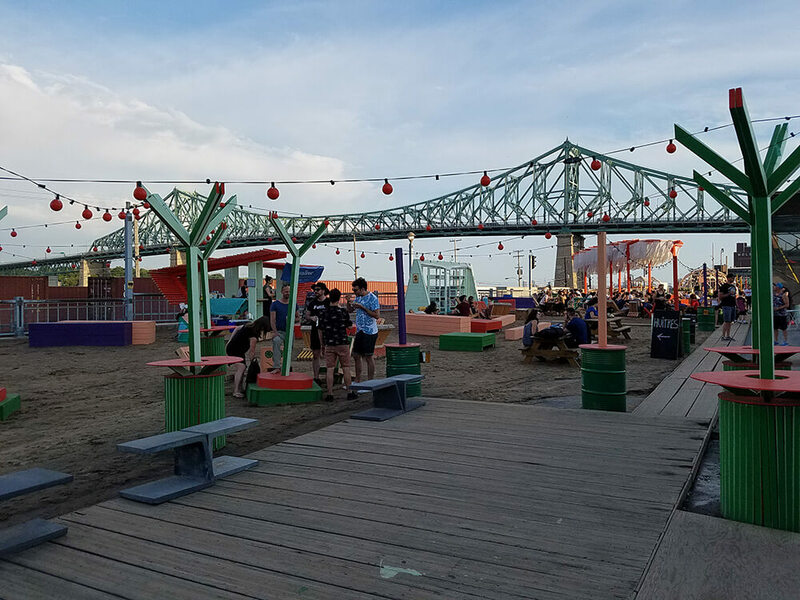 With festivals nearly every weekend, you’ll see tons of locals out and about enjoying the warm weather. Here are some highlights for a long, summer weekend in Montreal. 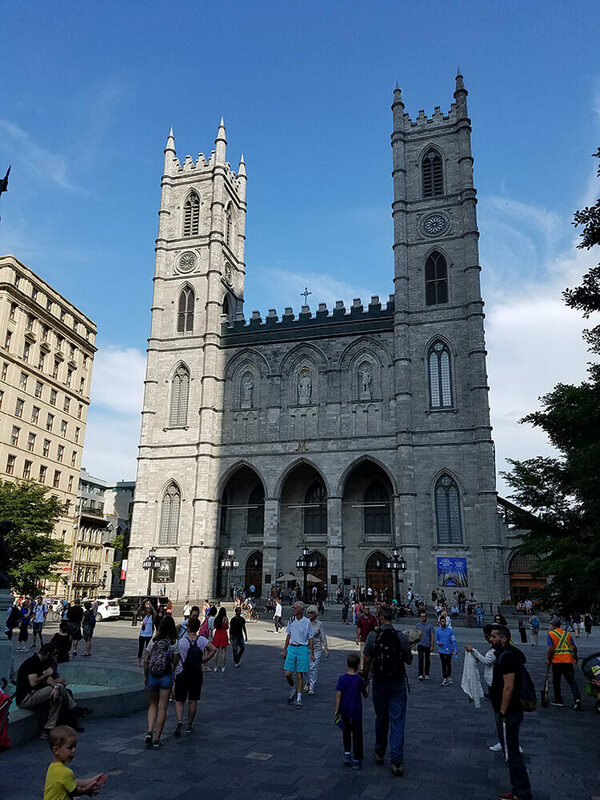 The Notre Dame Basilica is located in the historic district of Old Montreal. This is definitely a must see if you’re going to visit the city. The church is beautiful, with its Gothic revival-style and gorgeous stained glass windows that depict the religious history of Montreal. One of the things we regret not seeing was the Aura show. This is a 45 minute light and orchestra show inside the Basilica. We waited too long to get tickets and unfortunately, the show sold out all the nights we were there. If Aura is part of your plans for your long weekend, definitely book tickets in advance online. The show sells out quickly. 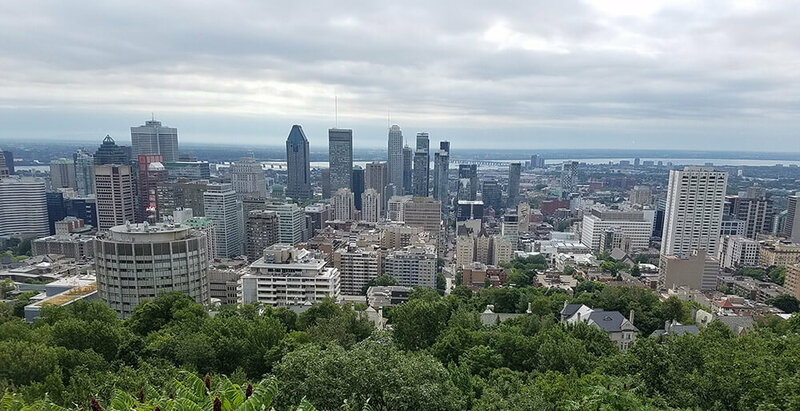 The Mount Royal Lookout Point is a great way to get a beautiful view of the entire city. The year-round public park was designed by Frederick Law Olmsted, who is famous for his work on Central Park in New York. 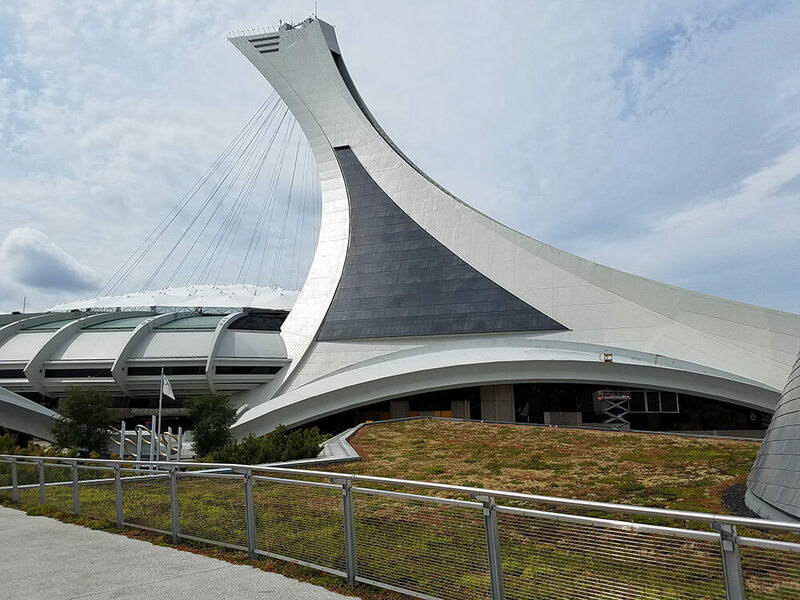 The lookout point gives you a great, panoramic view of the Montreal skyline. We wanted to get a feel for the entire park, so we hiked up to the summit, which took us about 45 minutes. If hiking isn’t your thing, there’s an option to drive as well. However you choose to get there, it’s definitely worth the trip. 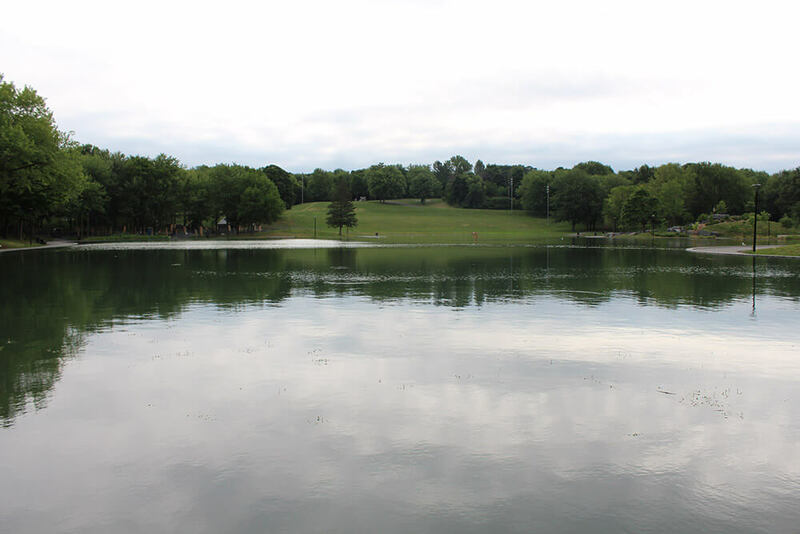 Beaver Lake is a man-made lake in the middle of Mount Royal Park. It’s a nice place to have a family picnic, as there are benches and a playground close by. You can also walk into the Smith House, which is relatively close to the lake. This former private residence, built in 1858, now serves as a visitors center for the park. 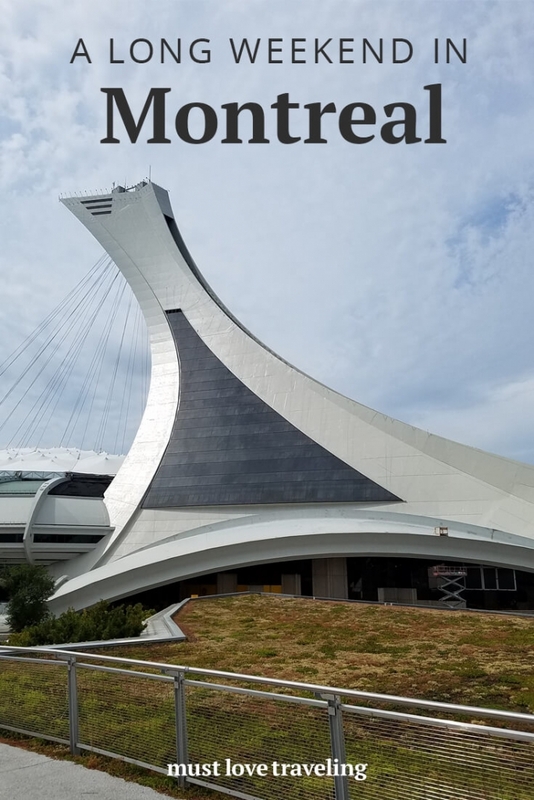 Montreal was the host of the 1976 Summer Olympic Games. Today, Olympic Park serves as a tourist attraction and training center for top level athletes. For $7, you can get a day pass to the facility and swim in the same pool as some of the best athletes in the world. This was our favorite thing that we did on our trip. It’s one thing to tour the facility, but to be able to actually use it was pretty awesome. Since the pool is still used as a training center, you might get an opportunity to watch a practice as well. While we were there, we saw a diving team practicing. It’s incredible what these athletes can do! The Village au Pied Du Courant is a really unique space along the Saint Lawrence River. After several years of neglect, the Urban Development Association in Montreal restored and reinvented the space to what it is today. The village is open Thursday through Sunday from June to September and each day has a different theme. 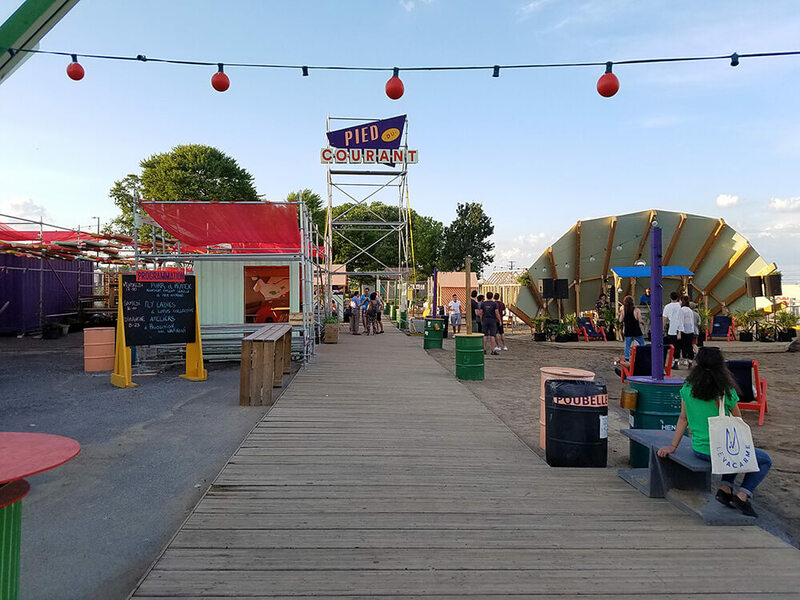 Food and drinks and sold out of shipping containers and there are plenty of places to sit and relax. 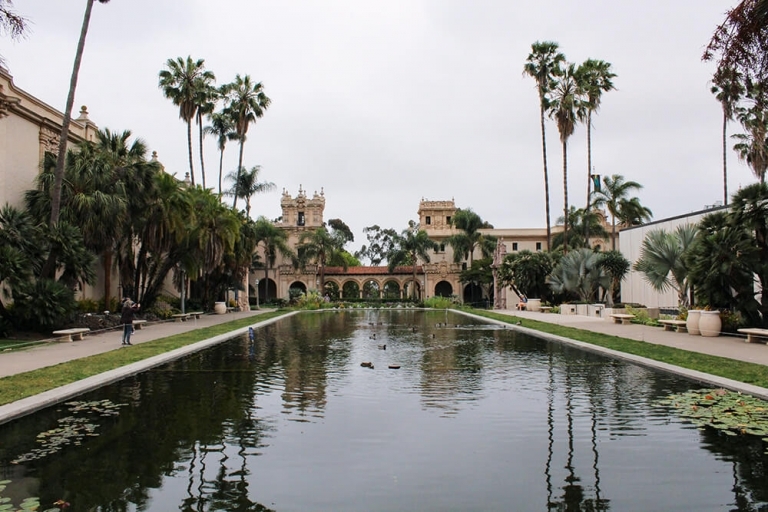 This park is family and dog-friendly, so it’s a really great option for everyone. One thing to note is that the park is cash only, so come prepared if you want to buy anything. 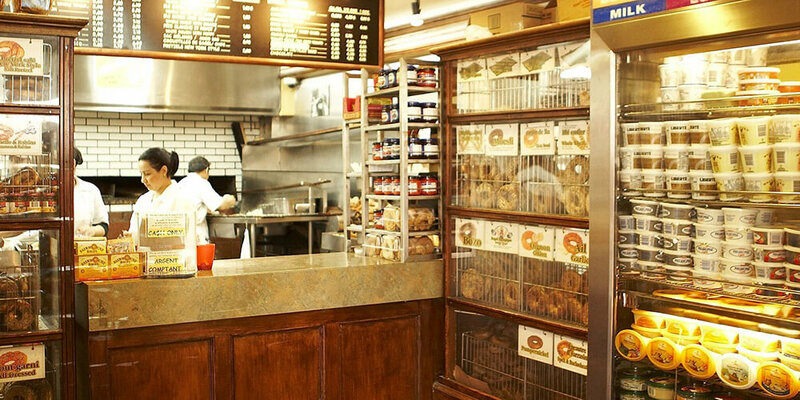 Montreal is known for having great bagels and one of the best places to get one is at Fairmount Bagel. This family-owned business has been hand making bagels since 1919, using the same recipes and old fashioned wood ovens. We liked them better than New York bagels! 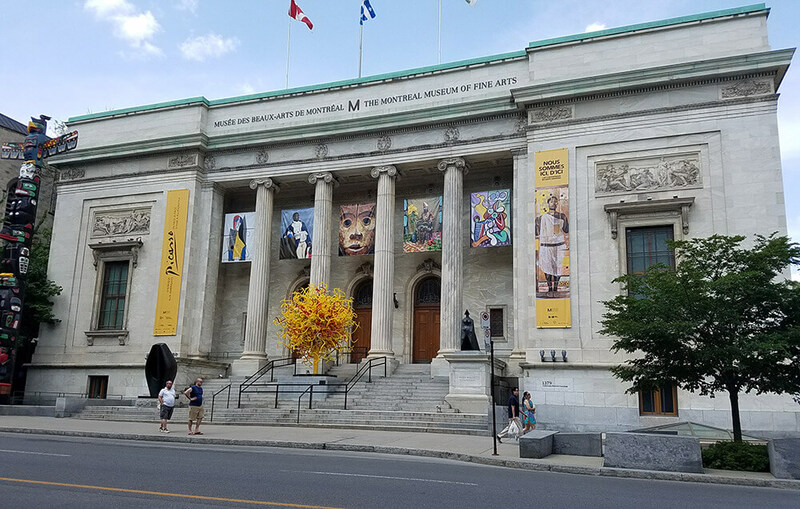 The Montreal Museum of Fine Arts is the largest museum in the city. It’s spread across 5 pavilions, so you can definitely spend a good amount of time here. The building is beautiful both inside and out and the exhibitions inside were really impressive. 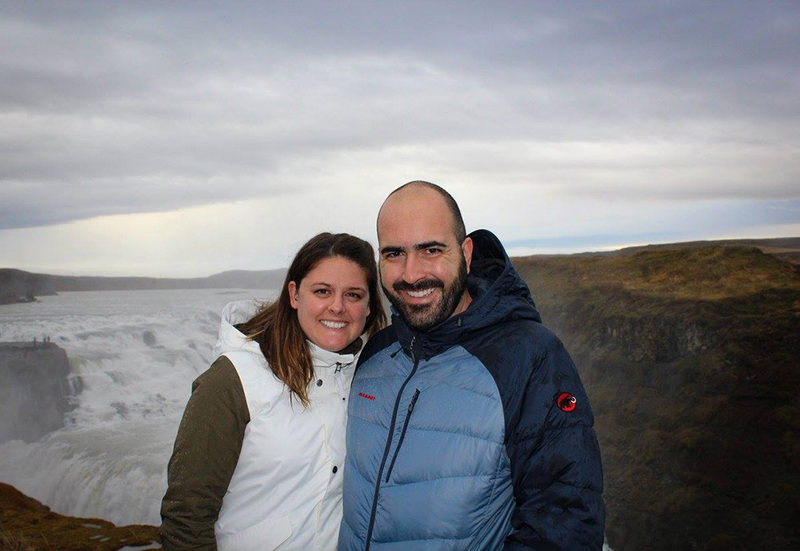 We were pleasantly surprised by how many Portuguese restaurants were in Montreal. Can you blame them? Portuguese food is pretty delicious; especially the chicken. 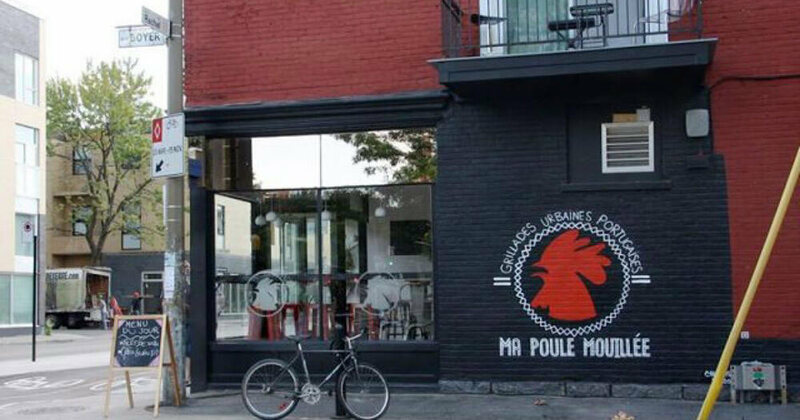 If you’ve never had it, head on over to Ma Poule Mouillée and get yourself some. You won’t regret it. The chicken has so much flavor and the portions are huge. There will likely be a line, but it’s definitely worth the wait. It was our favorite meal in Montreal. Montreal is a very LGBT friendly city. 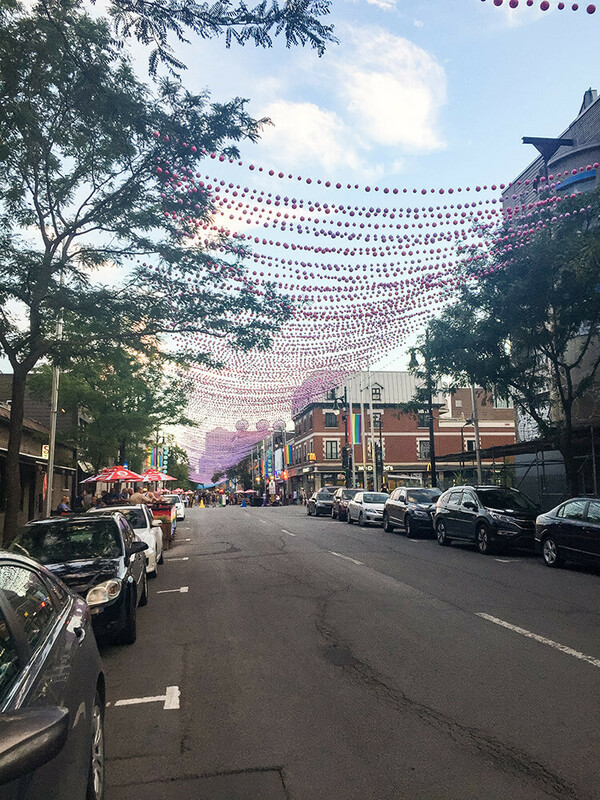 They host a slew of LGBT events and even mark the gay-friendly areas of the city on their tourism maps, Rue Sainte-Catherine being the heart of it. From May to September, a 12 block stretch of the road becomes a pedestrian-only zone during the Aires Libres art event. Pink balls are strung over the street, making it even more vibrant and fun. Shops, restaurants, bars and clubs are all over Rue Sainte-Catherine, making it a really fun place to spend a night out. Parc La Fontaine was just a few blocks from where we were staying, so we walked through it a few times during our stay in Montreal. It’s the perfect place to kick back and relax. As mentioned before, the locals really embrace the summer months, so you’ll see people in the park having family picnics, playing music, riding bikes or just people watching. It’s a great place to spend a few hours on a summer night. 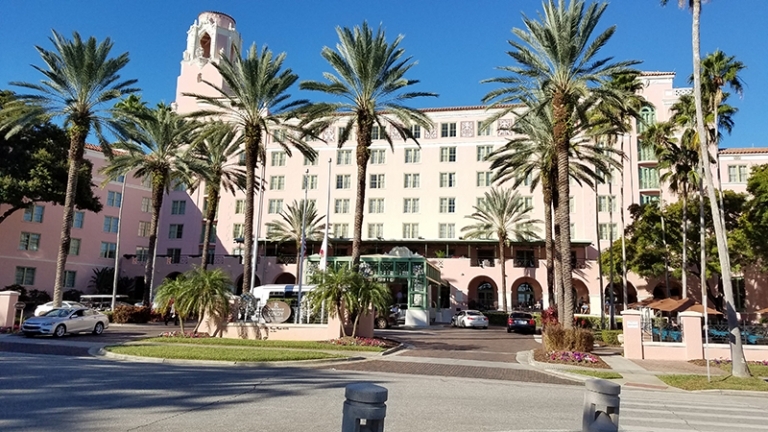 You’ll definitely want to check it out during your stay. If you’re looking for a great place to spend a long weekend in the summer, Montreal is a great choice. 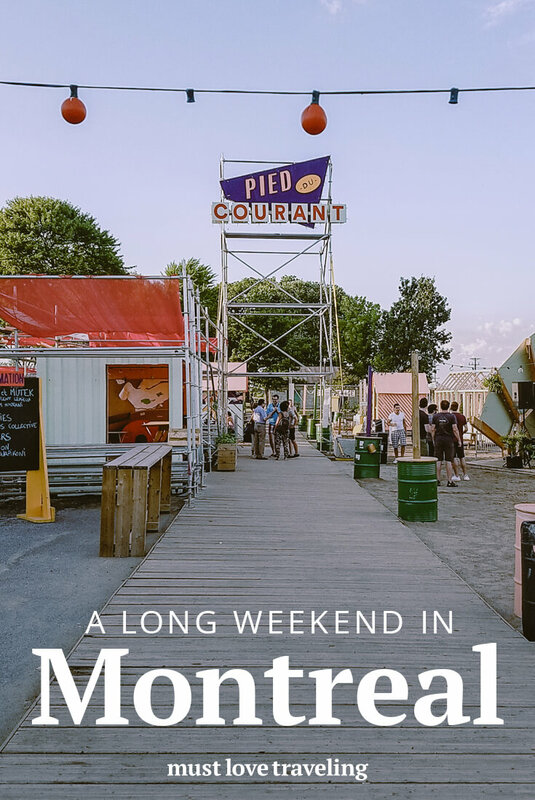 Use our guide for a long weekend in Montreal to help you plan your getaway! Save this infographic on Montreal for future reference!